This module identifies its basic functions and fundamental components, including the concept of a left and right heart. It also introduces you to the constituents of blood, including plasma and the various blood solids—red blood cells (erythrocytes), white blood cells (leukocytes), and platelets (thrombocytes). This module focuses on antihypertensive drugs, which produce their effects through differing sites and mechanisms of action; they are often used in combination to improve the overall effect. The module begins with drug classes recommended as first-line therapy in the 2017 ACC/AHA Guideline for the Prevention, Detection, Evaluation, and Management of High Blood Pressure in Adults. Then it describes other (secondary) antihypertensive drug classes that clinicians might draw upon if a patient’s BP goal cannot be reached using the primary agents. This module discusses the clinical diagnosis of coronary artery disease (CAD) and acute myocardial ischemia (ie, acute coronary syndrome (ACS). It considers the treatment of angina, which is the primary symptom of CAD, and describes approaches used to treat acute myocardial ischemia. Prevention of atherosclerotic heart disease is addressed in the context of lifestyle management and lipid modifying agents. This module discusses the etiology, pathophysiology, and risk factors for CAD. It distinguishes among the categories of ACS, and acquaints you with the symptoms of these atherosclerotic heart diseases. 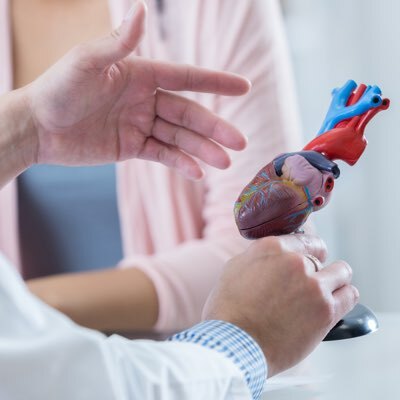 This module discusses the etiology and pathophysiology of heart failure, the body's response to heart failure, methods for classifying the disease, patient symptoms and diagnosis, and disease management. This module discusses some of the more commonly-used interventional procedures and outlines the role of pharmaceuticals in treating these patients. This module considers the various cardiovascular risk factors: those that can be altered and those over which we have no control. It also reviews the cardinal symptoms of cardiovascular (CV) disease and acquaints you with many of the tests clinicians use to diagnose CV disease, select treatments, and evaluate treatment success. This module defines hypertension based on the 2017 ACC/AHA Guideline, and looks at risk factors and potential consequences. It describes the diagnosis of hypertension and discusses its treatment. This module acquaints you with the components of the lymphatic system, including the accessory organs (thymus, spleen, and tonsils) that assist lymphatic functions. It also explores the mechanics involved in the movement or flow of lymph. This module discusses the cardiac cycle and the factors that determine blood pressure. It explains how a sphygmomanometer is used to measure pressure, and how pulse rate relates to heart rate and blood pressure.